Medicaid Planning bring added value to clients. Is Medicaid Planning right for your practice? If you are an advisor of any kind (e.g., attorney, financial planner, CPA, care planner, etc.) working with seniors, you will likely encounter benefit planning issues. If you want to make sure your clients are getting the best possible advice, you’ve come to the right place. MedicaidPlanning.org was created to help advisors with every stage of the long-term care Medicaid benefit planning process. We have resources to help you learn the subject, tools to help you provide planning advice, and support services to help you with your individual cases. We even have marketing tools to help you promote your practice. Medicaid Planning is the proper use of the Medicaid spenddown rules to avoid paying more for long-term care than is required. Most people and their advisors have little understanding how much money has to be spent down for long-term care before they can qualify for assistance or what events trigger ineligibility. If you’re advising elderly clients, we can help you raise your skill level and help more people in the process. The following helps explain how you can learn Medicaid planning. By adding Medicaid Planning to your practice, you can service more clients facing serious long-term care financing issues. You ever hear the saying that it’s more important to know what you don’t know than what you do know? We have the only Medicaid Planning and Practice Development program to help you with every stage of Medicaid Planning. 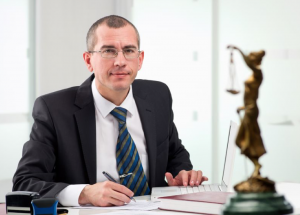 If you desire to add Medicaid Planning to your practice, we can provide the assistance you need with your Medicaid Planning cases. For more of what we can do for you, click here. We have nearly two decades of experience in Medicaid Planning and education for both businesses and individuals. Our expert team brings the largest collection of Medicaid Planning expertise in education, planning, and assistance for advisors working with long-term care Medicaid issues. We ensure our information is the best in class, combining substantiated research with the latest up-to-date developments in the subject matter. What are the ways to pay for long term care expense? 1) Medicare (very limited), 2) LTC Insurance (too few people have it), 3) Private Pay (what most people who do not plan will end up doing with their money), 4) Medicaid. For most, Medicaid will be the primary way to pay for nursing home expenses when in retirement. Unfortunately, the vast majority of Americans do not plan properly and end up spending all of their own money on nursing home costs before receiving help from Medicaid. How much in countable assets (resources) can a single person own in order to qualify for Medicaid? In most states, $2,000 (no this is not a typo). Money in CDs, money market accounts, IRAs, 401(k) plans, land, stocks/bond, etc, are considered countable resources and MUST be spent down to to the state limit before qualifying for Medicaid. If there is a community spouse, spousal impoverishment rules will help protect a larger amount for the healthy spouse — but often with a complex formula and no more than the maximum $119,220 (for 2016). What is a look back period, how long is it, and how does it affect Medicaid planning? A lookback period in the context of Medicaid planning refers to a time frame used to “look back” to find gifts of assets given away by someone applying for Medicaid. Any gifts made within 60 months (5-years) of applying for Medicaid will count against the applicant (most, but not every state has a 5-years look back). Note: The DRA of 2005 requires a 60-month lookback period; however, California still operates with a 30-month lookback period. What is Medicaid planning? It’s using existing laws to help clients reposition their assets to shield them from both Medicaid spenddown and recovery rules. What holds most advisors back from helping clients with Medicaid planning? MedicaidPlanning.org offers both in an unmatched manner! 1) Education—advisors of all kinds can be educated on compliant Medicaid planning by taking the Medicaid Planning Course (click here to learn more). 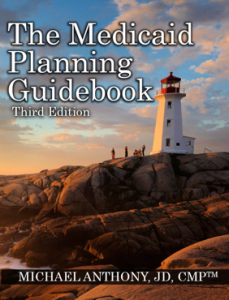 This course is the ONLY thorough course of its kind in the industry and is taught by Mike Anthony, JD, CMP the author of the most comprehensive book ever written on this subject matter, The Medicaid Planning Guidebook (click here to learn more). To learn about the 18 one-hour recorded educational sessions put on by Mike Anthony, JD, CMP, please click here. 2) Quality Support/Mentoring—most advisors are afraid to help clients with Medicaid planning (even if they know the subject matter) because they do not have the support of an expert who really knows the subject matter. Mike Anthony not only educates advisors, but his team is also available to help advisors with case design and overall mentoring. Click here to learn more about the unique support they provide. MedicaidPlanning.org was also created to help advisors market themselves as Medicaid planners. Helping clients with Medicaid planning is one of the best ways to grow your legal, insurance, financial planning, or accounting business. Medicaid planning is extremely motivational for clients who, if they do not take your advice, will simply be handing over their money to nursing homes instead of preserving some portion of it for their heirs. We invite you to surf this site to learn more about the unique offerings we have for advisors as well as caregivers. If you have any questions, please feel free to e-mail them to team@medicaidplanning.org. If you would like to request more information about the benefits of becoming a Medicaid planner and working with MedicaidPlanning.org, please click here. Nearly two decades of experience and top learning tools to help you. We stay in tune with the latest developments and keep you posted. Highly professional and skilled in Medicaid Planning. No other resource will help you add Medicaid Planning to your practice as well as we can! Would you like to speak to one of our expert Medicaid consultants? Please submit your and someone will be in touch shortly. You can also email us if you would prefer. 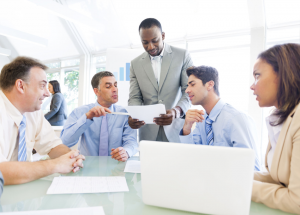 For Businesses: Do you have questions about how we can help your company? Send us an email and we’ll get in touch shortly, or phone 216.647.0074 between 9:00am and 5:00pm ET Monday to Friday — we would be delighted to speak to you.